The ability to make friends is one of the most valuable qualities, of which can boast people. But this is not our exclusive prerogative. 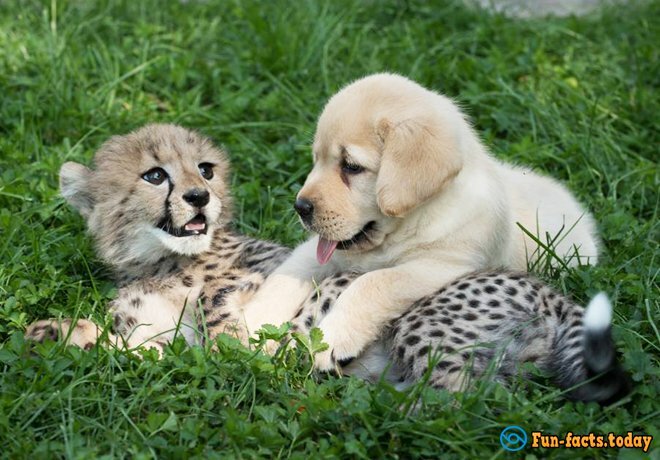 Animals can also make friends, and this friendship can be more sincere and touching. 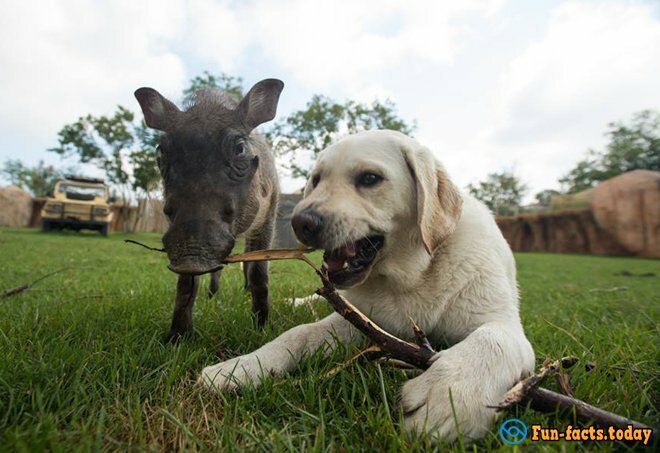 From time to time, we publish stories of incredible friendship between representatives of different species. And there is no much difference, is it a wild or domestic animal - all are equal in nature. But best friends are usually the babies. They are very similar to us humans. As a child, we do not pay attention to the color of the skin or unusual accent. But as adults, we rarely make friends with people who are unusual for us. 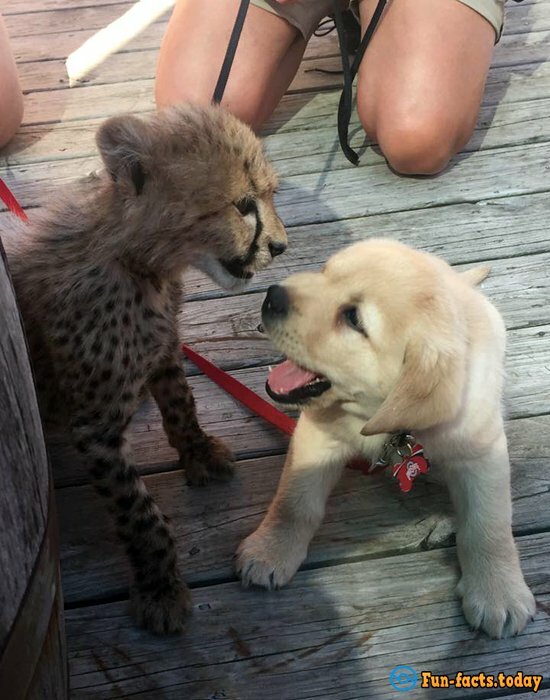 This week, the Internet has stirred up a little story about the friendship of a cheetah and a Labrador puppy in the American Columbus Zoo. A baby cheetah, named Emmett, got to the vet sick and weak; experts have cured his pneumonia and released to assimilate in an aviary. 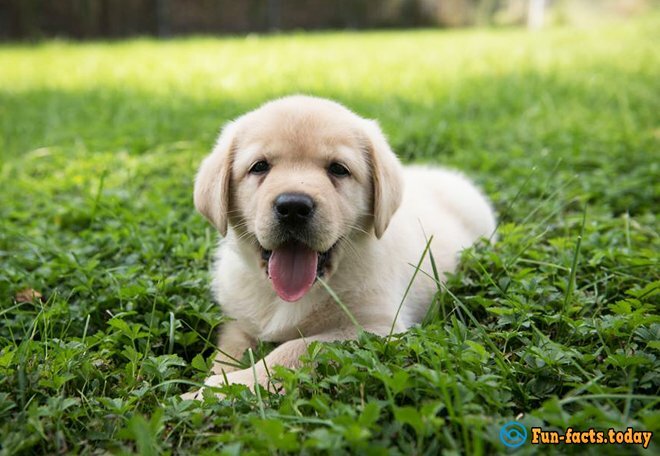 In order, Emmett was not terribly to be alone in the huge and unknown world, and experts have given him a company, Labrador puppy Cullen. 10-week Emmett and 7-week Cullen quickly found a common language, and now they are inseparable. They play all day long with each other, eat together and sleep together. 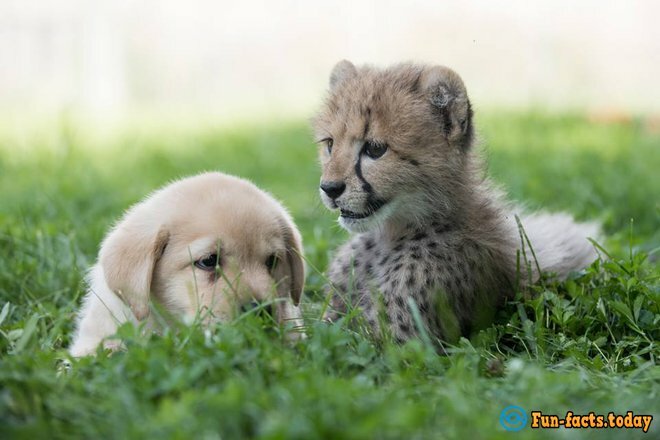 "The puppy helps the predator to gain confidence in himself - says Heather Repp, director of the Wildlife Department in Columbus zoo. 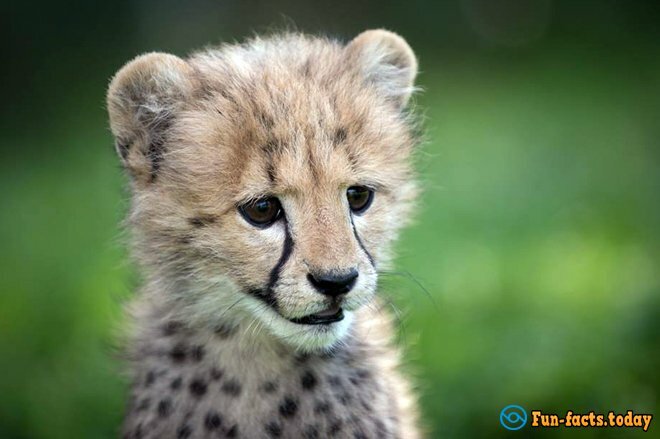 - Cheetahs are very skittish and very nervous animals, and they can die from stress. Puppy for him is like a brother or sister. " "We can not help the cheetah to get comfortable and get used to the new environment. But dogs can "- explains Penn. 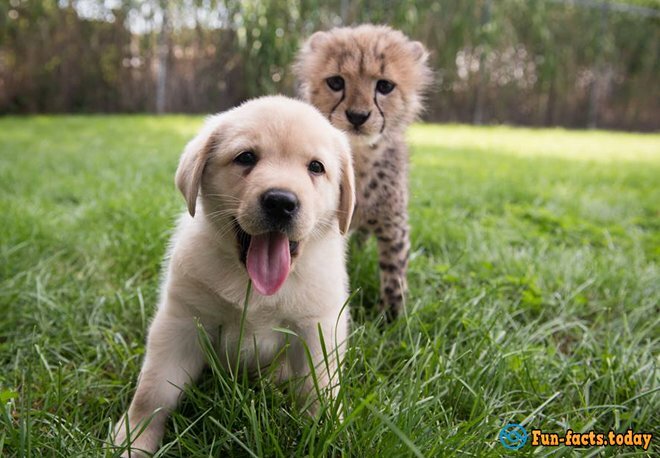 Also, the dog's example can help the cheetah to become tame and not afraid of people because dogs are not afraid of them. This method has long been used in zoos, where sometimes in a cage, you can see dogs and wild pigs, domestic and wild cats.